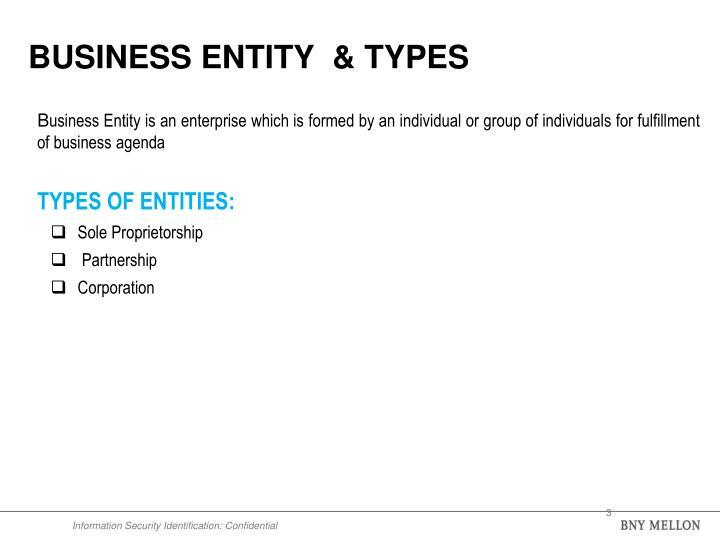 A business entity recognized by law with existence separate and distinct from its owners. 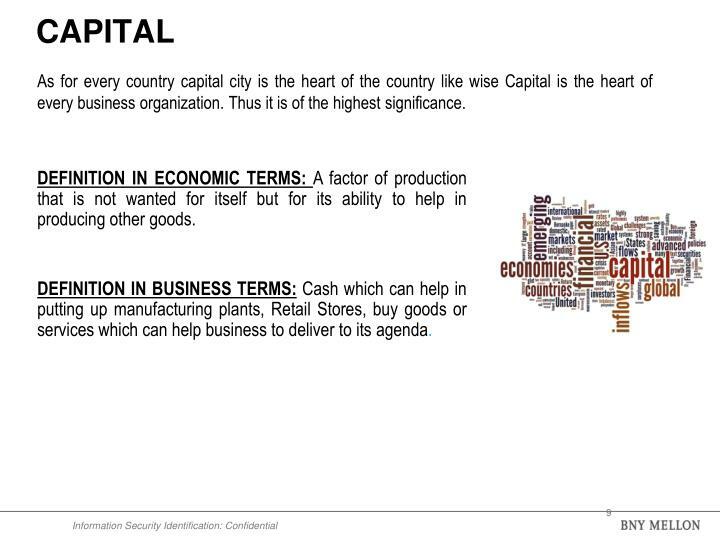 As for every country capital city is the heart of the country like wise Capital is the heart of every business organization. 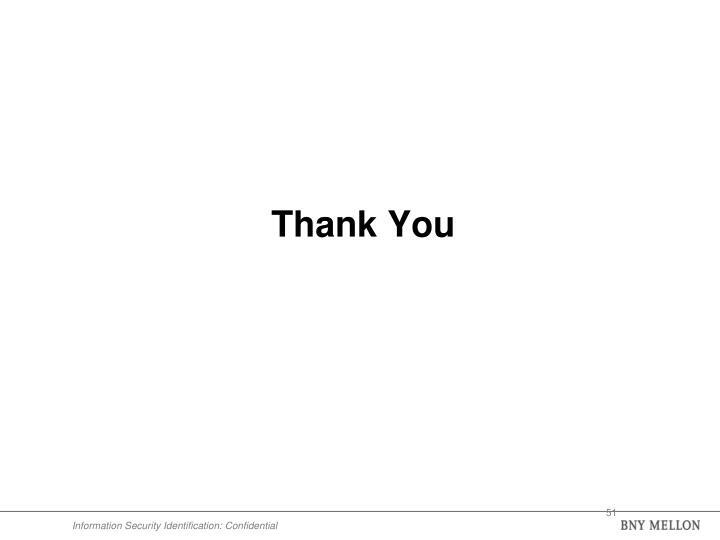 Thus it is of the highest significance. 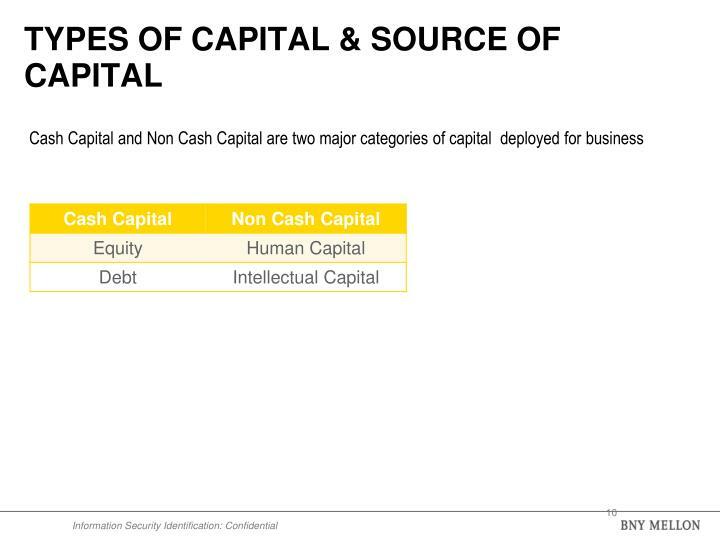 Definition In business terms:Cash which can help in putting up manufacturing plants, Retail Stores, buy goods or services which can help business to deliver to its agenda. 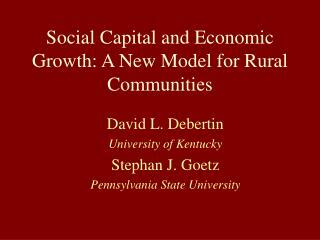 Definition in Economic terms: A factor of production that is not wanted for itself but for its ability to help in producing other goods. 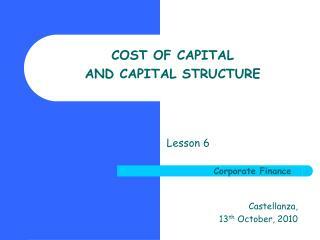 Debt – The corporation borrows the required amount of funds and repays it at a later date along with interest. 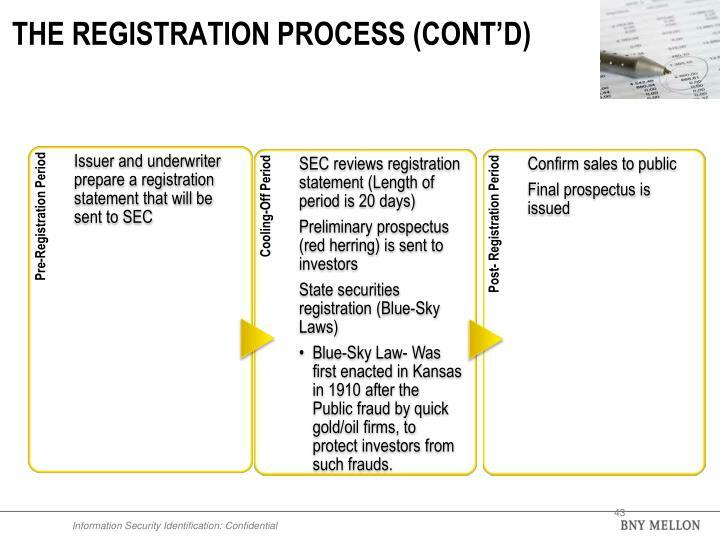 More like a loan taken by the corporation. 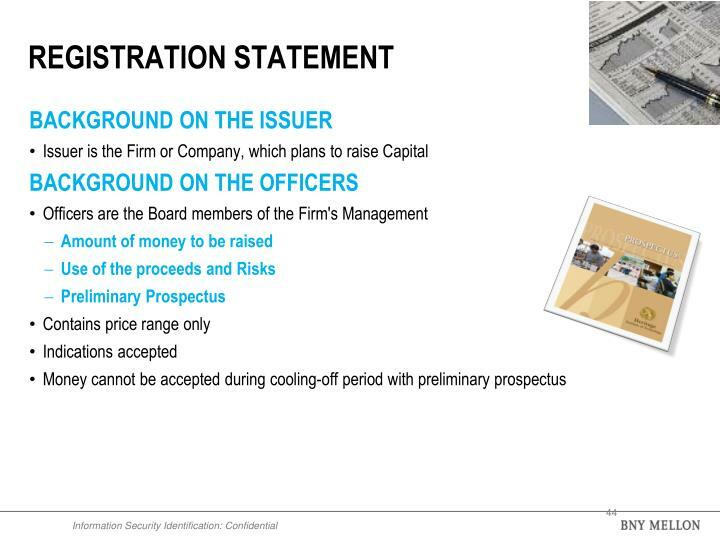 Equity – The corporation issues shares to the public and raises money. 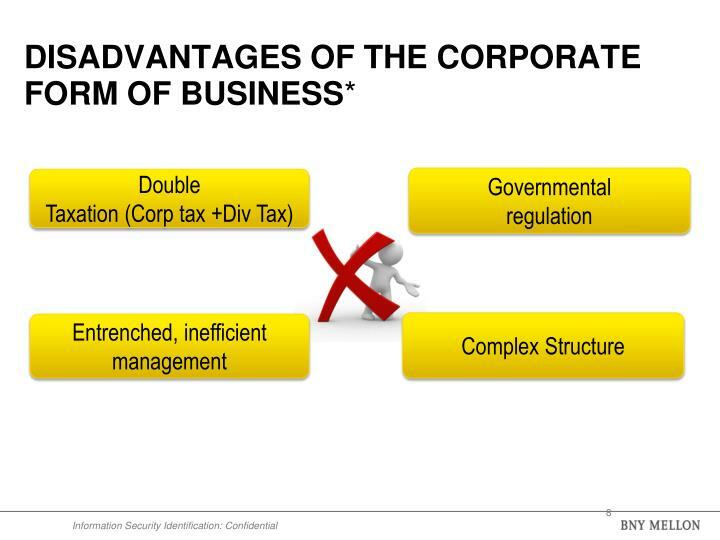 The ownership of the corporation is diluted. 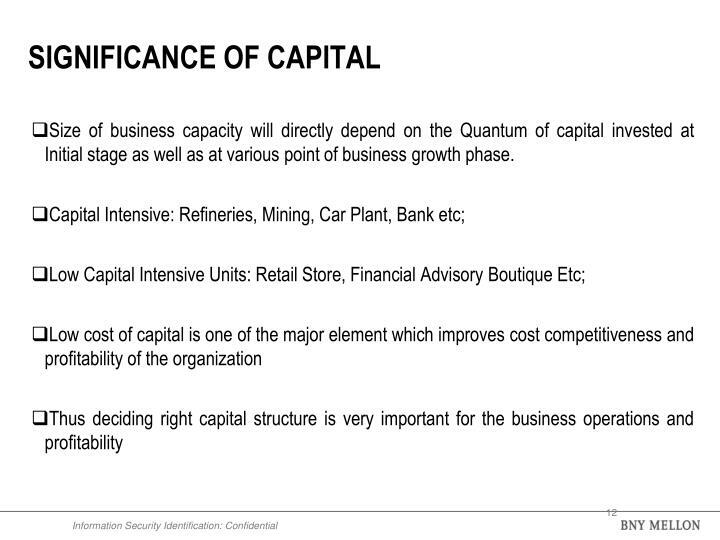 Size of business capacity will directly depend on the Quantum of capital invested at Initial stage as well as at various point of business growth phase. 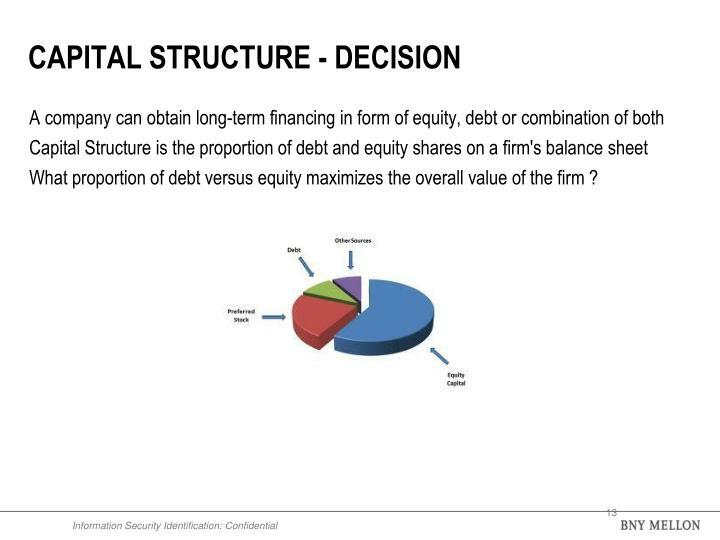 What proportion of debt versus equity maximizes the overall value of the firm ? 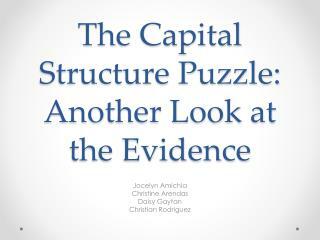 Why does an institution need money? 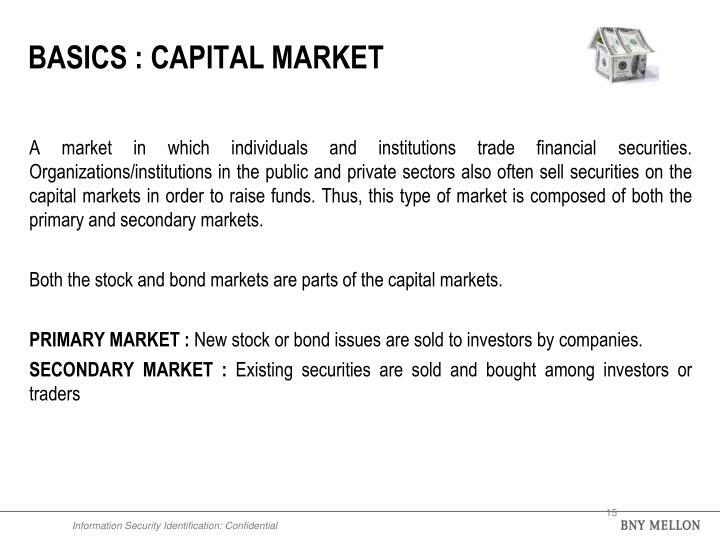 Both the stock and bond markets are parts of the capital markets. 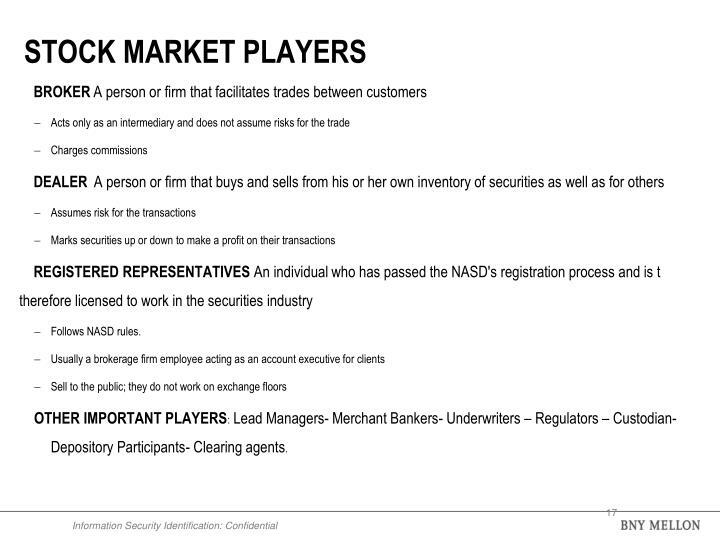 Primary market : New stock or bond issues are sold to investors by companies. 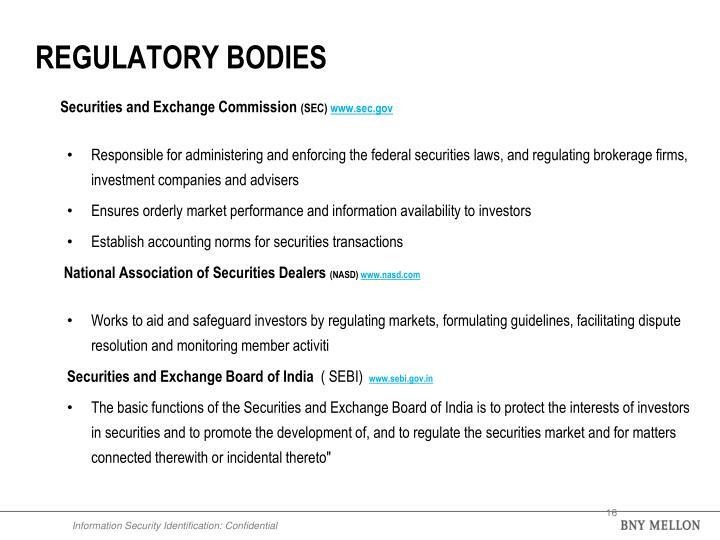 The basic functions of the Securities and Exchange Board of India is to protect the interests of investors in securities and to promote the development of, and to regulate the securities market and for matters connected therewith or incidental thereto"
Other Important Players: Lead Managers- Merchant Bankers- Underwriters – Regulators – Custodian- Depository Participants- Clearing agents. 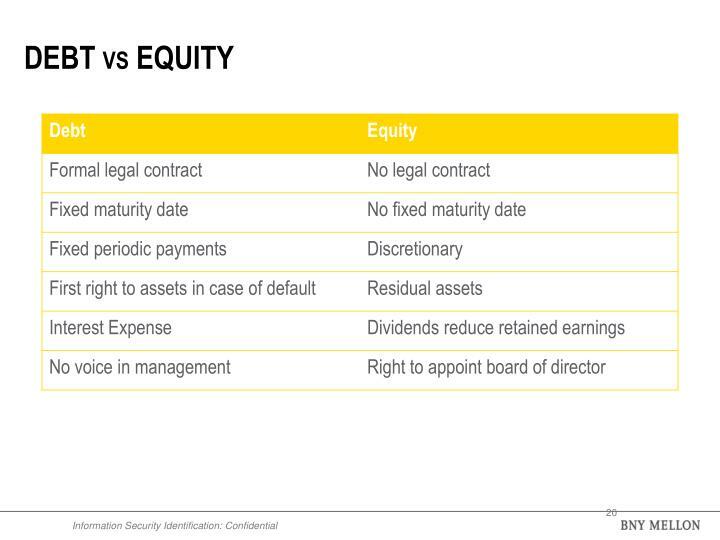 Equity represents ownership in any asset or company after all debts associated with it are paid off. 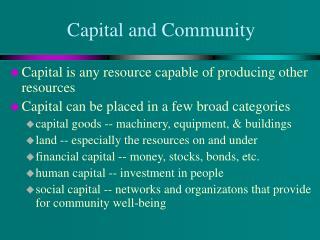 A share is simply a divided-up unit of the total value or equity of a company. 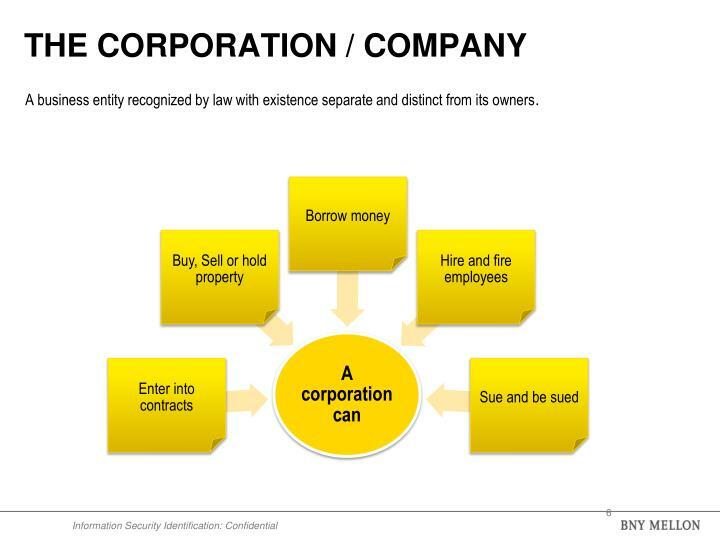 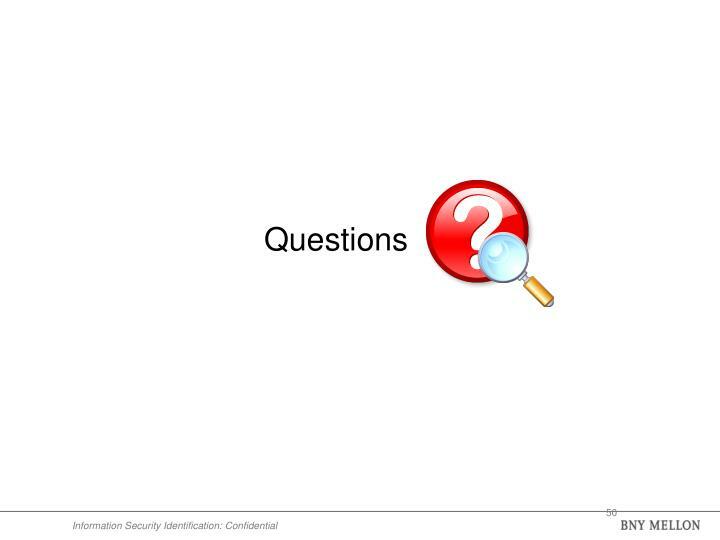 Example: Suppose that a company ABC Corp issues 100 shares. 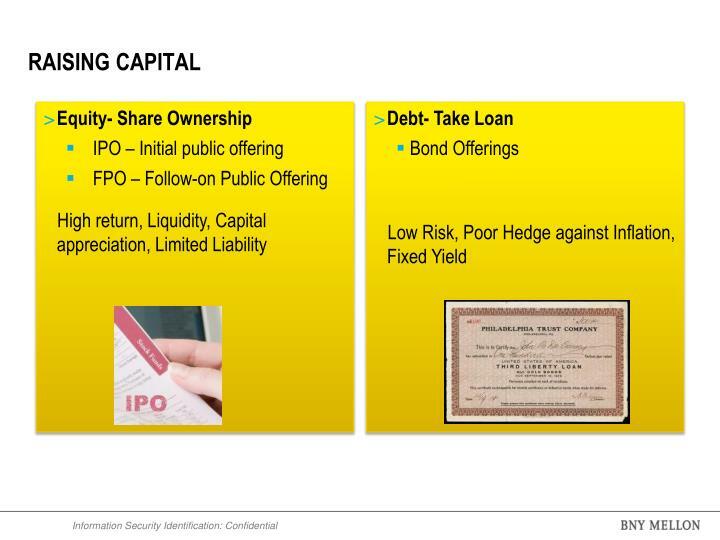 Out of the 100 shares issued, Mr. X buys 10 shares. 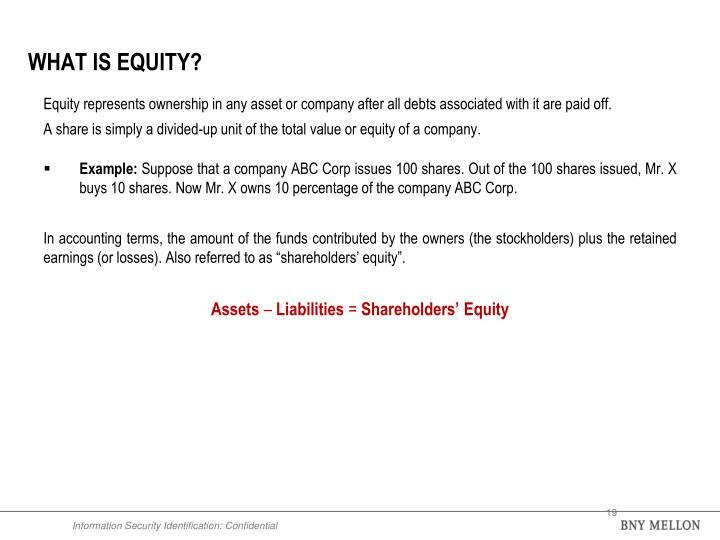 Now Mr. X owns 10 percentage of the company ABC Corp. 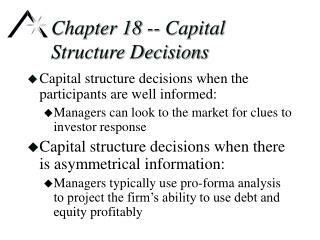 In accounting terms, the amount of the funds contributed by the owners (the stockholders) plus the retained earnings (or losses). 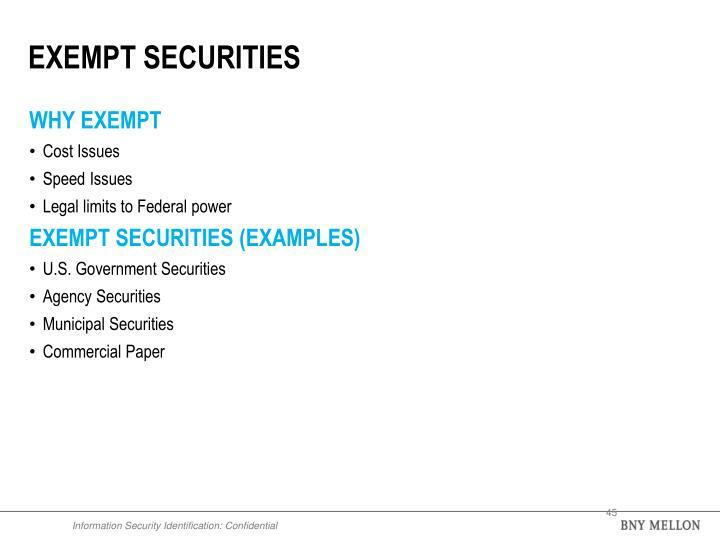 Also referred to as “shareholders’ equity”. 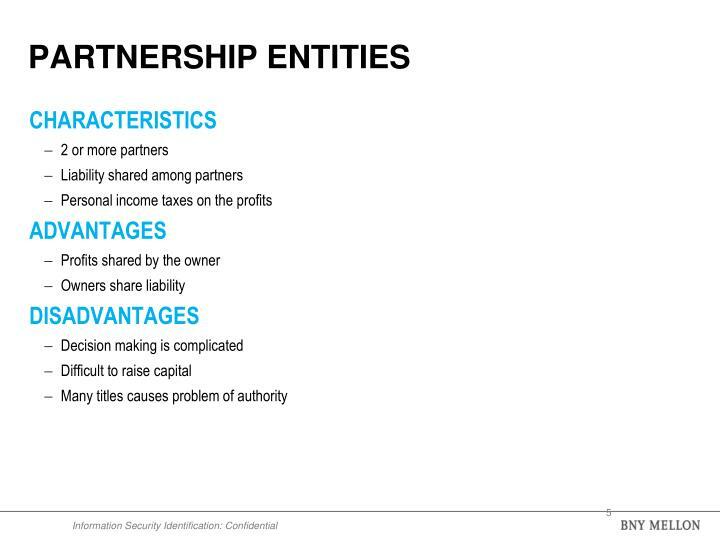 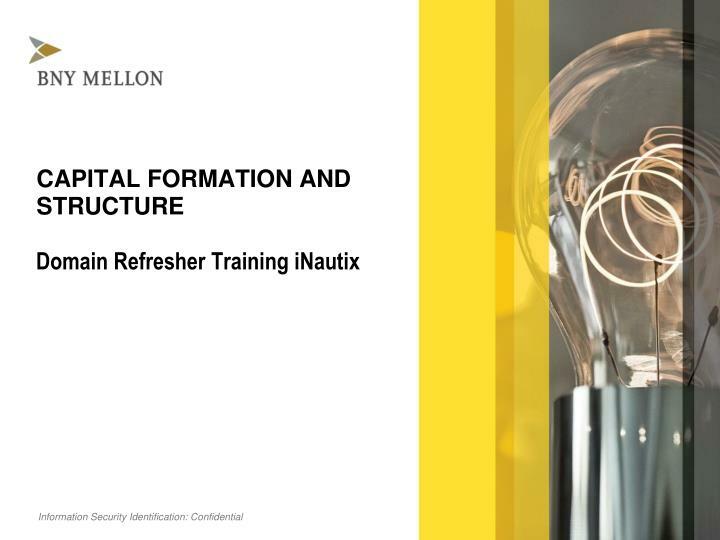 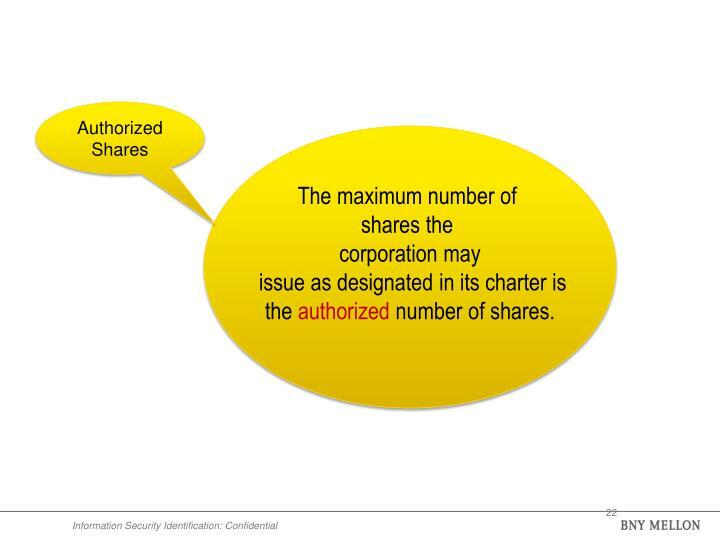 the authorized number of shares. 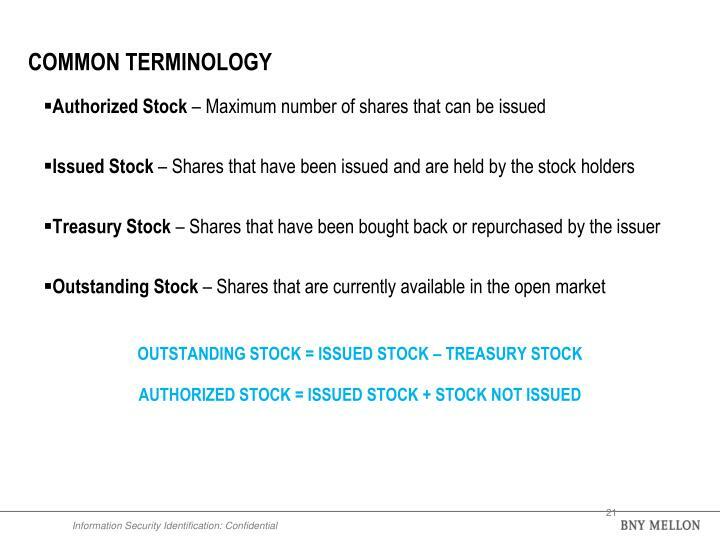 Issued shares are authorized shares of stock that have been sold. 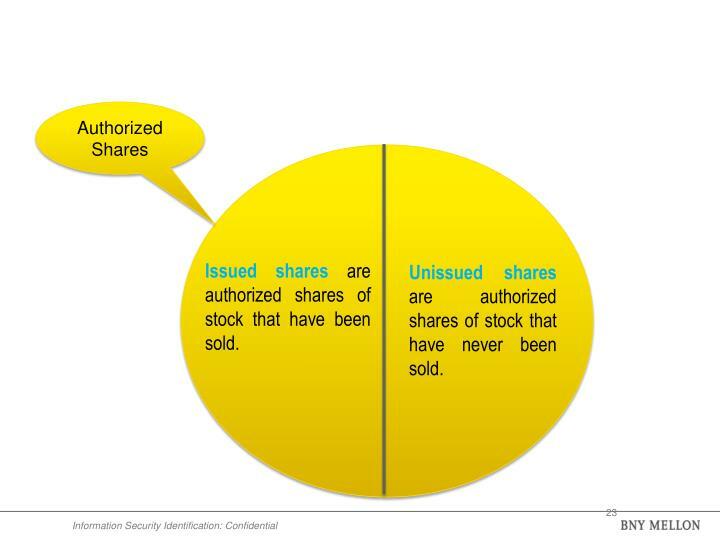 Unissued shares are authorized shares of stock that have never been sold. 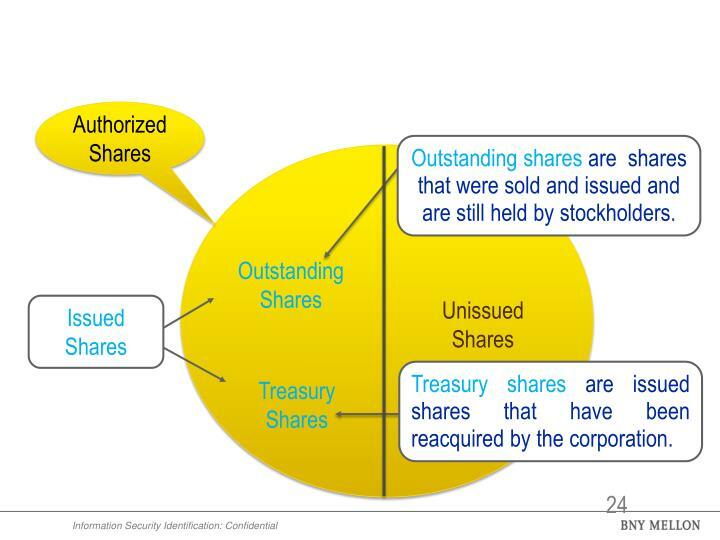 Outstanding shares are shares that were sold and issued and are still held by stockholders. 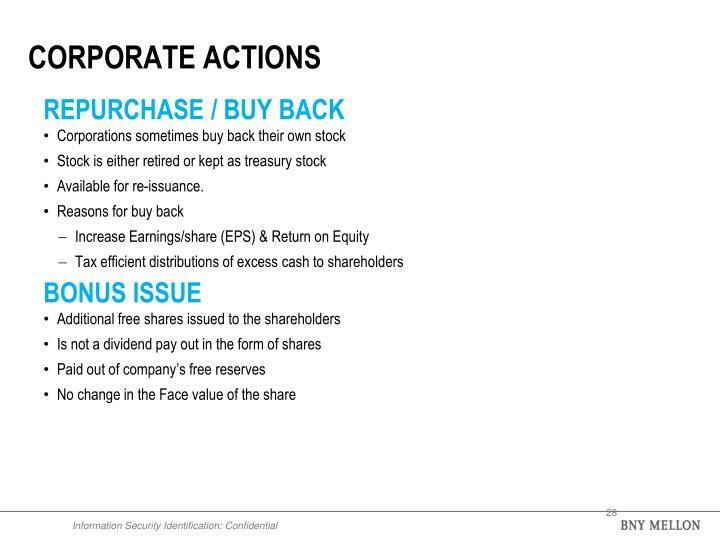 Treasurysharesare issued shares that have been reacquired by the corporation. 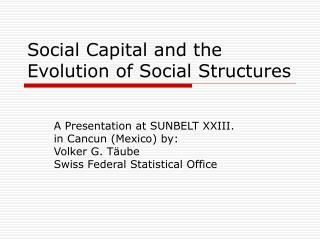 No relation to the Market value of the share. 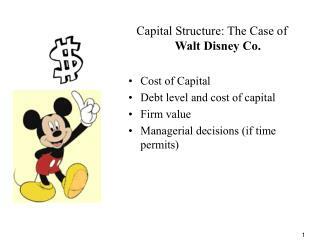 The value of an asset as carried on a balance sheet. 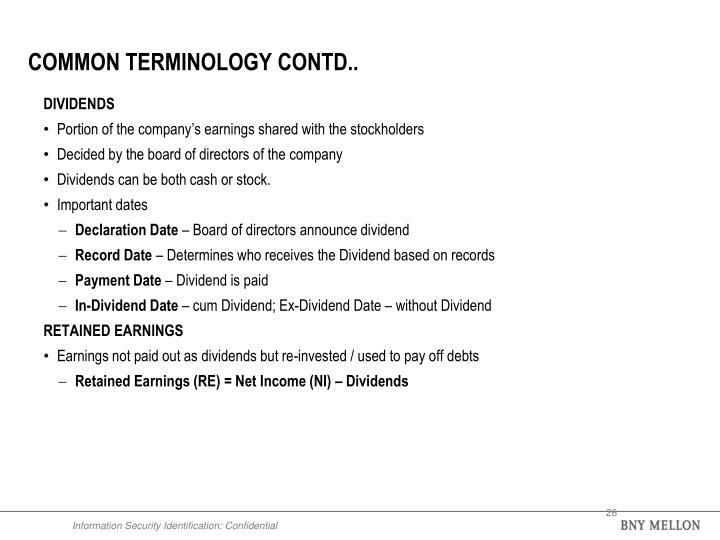 Dividends can be both cash or stock. 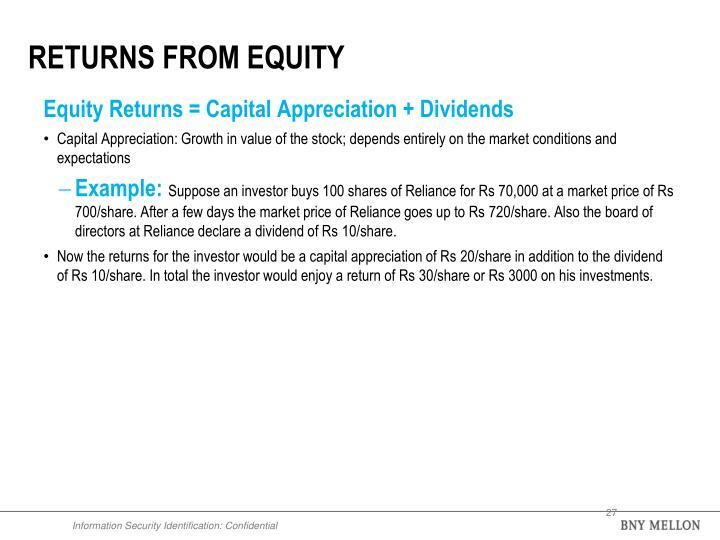 Example: Suppose an investor buys 100 shares of Reliance for Rs 70,000 at a market price of Rs 700/share. 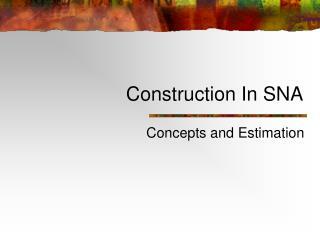 After a few days the market price of Reliance goes up to Rs 720/share. 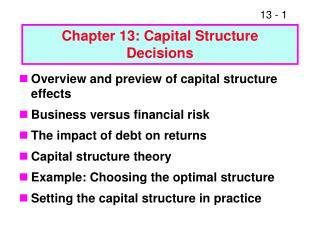 Also the board of directors at Reliance declare a dividend of Rs 10/share. 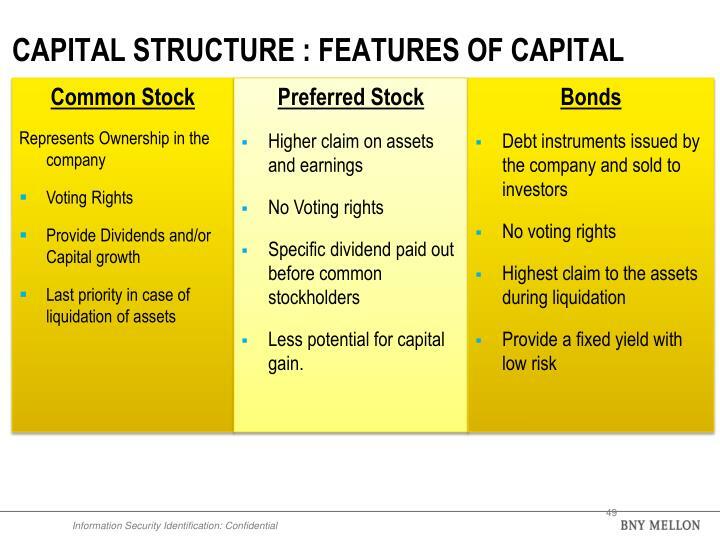 Now the returns for the investor would be a capital appreciation of Rs 20/share in addition to the dividend of Rs 10/share. 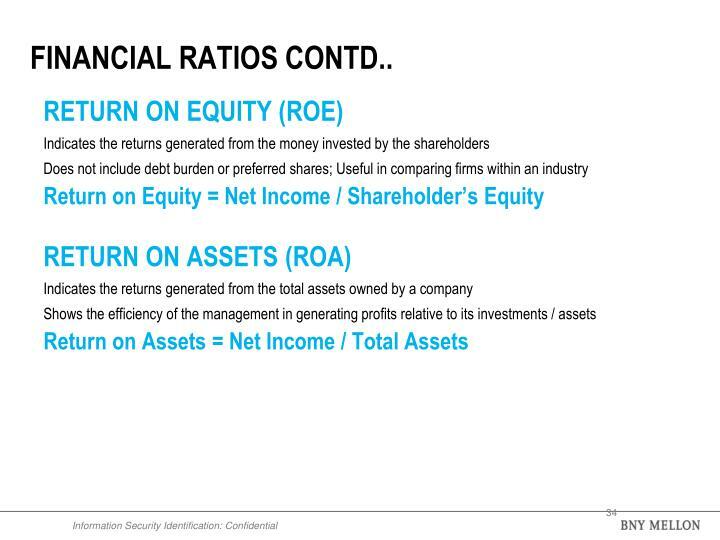 In total the investor would enjoy a return of Rs 30/share or Rs 3000 on his investments. 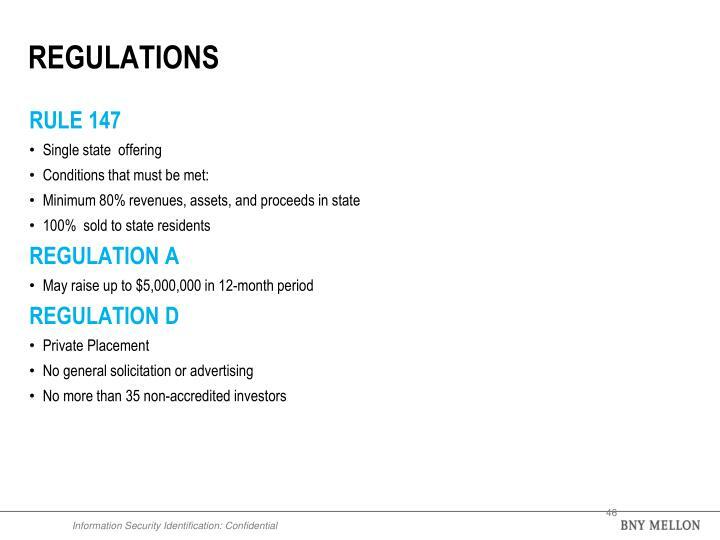 Bonus Issue: Suppose a company announces a 2 for 1 bonus issue, then every investor who owns a share will receive 2 additional shares. 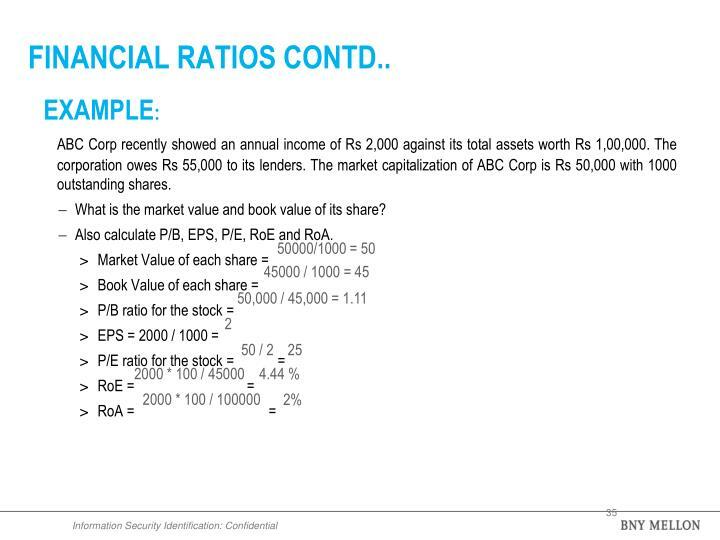 If Mr. X owns 100 shares of Rs 10 face value, then he will now own an additional 200 shares of Rs 10 face value. 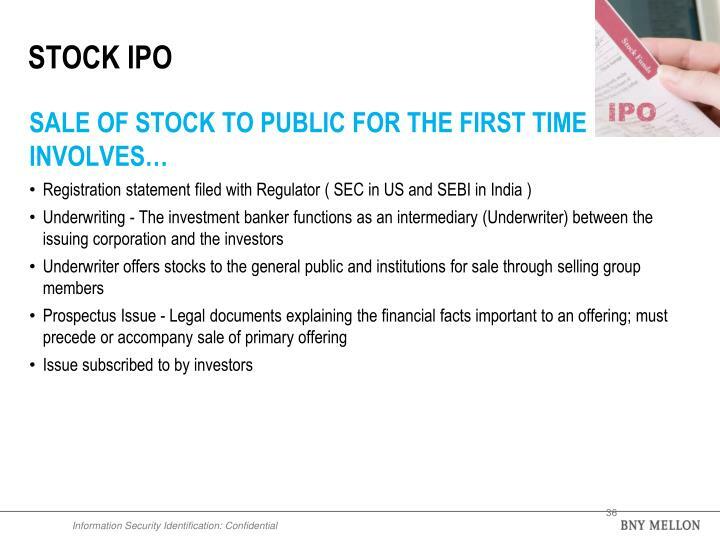 In total, Mr. X would now own 300 shares of the company of Rs 10 face value. 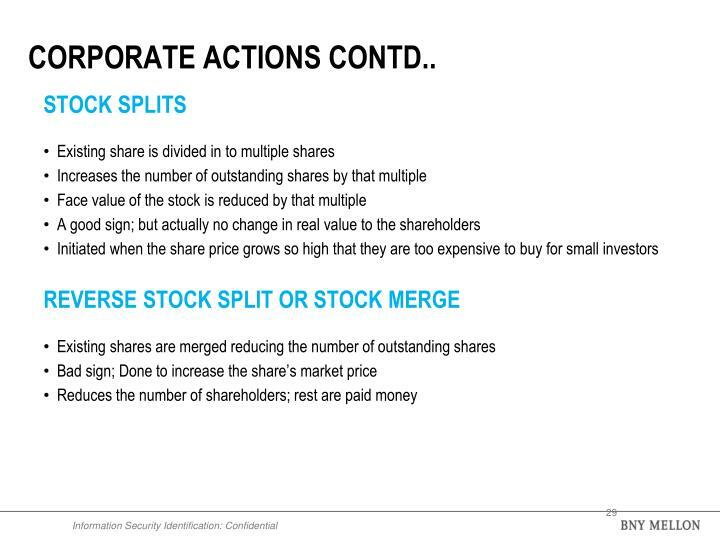 Stock Split: Suppose a company announces a 2 for 1 stock split, then every investor who owns a share will receive one additional share. 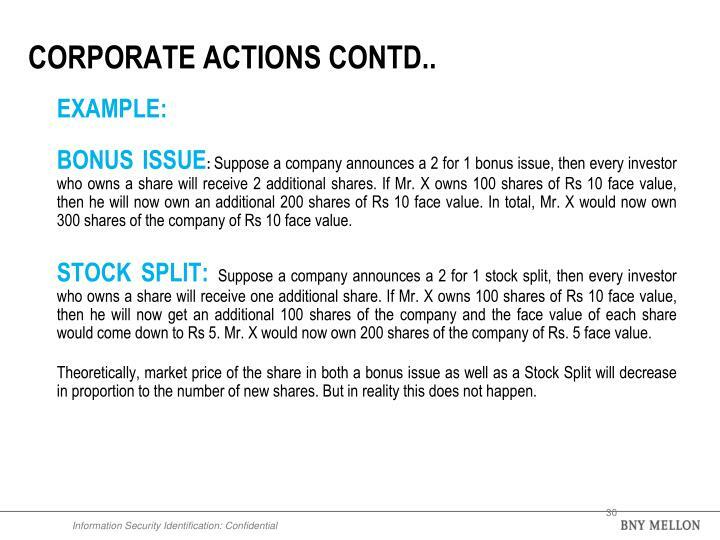 If Mr. X owns 100 shares of Rs 10 face value, then he will now get an additional 100 shares of the company and the face value of each share would come down to Rs 5. 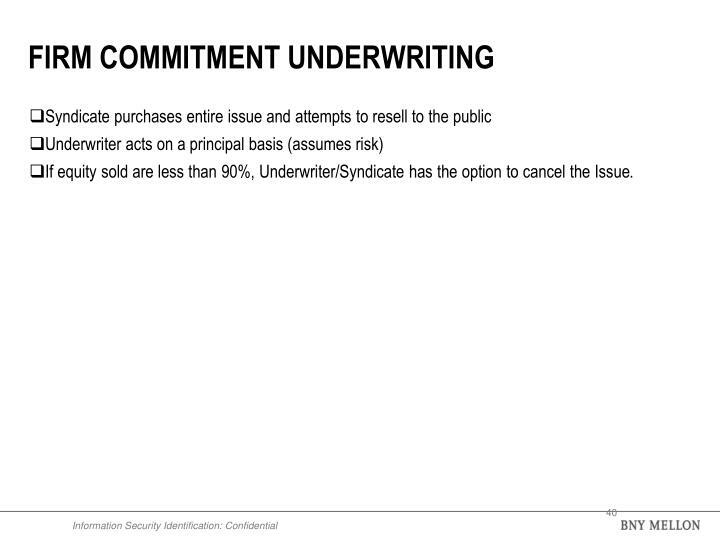 Mr. X would now own 200 shares of the company of Rs. 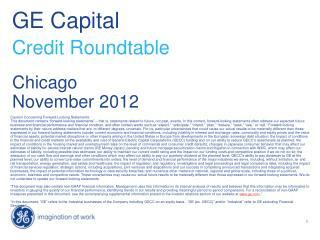 5 face value. 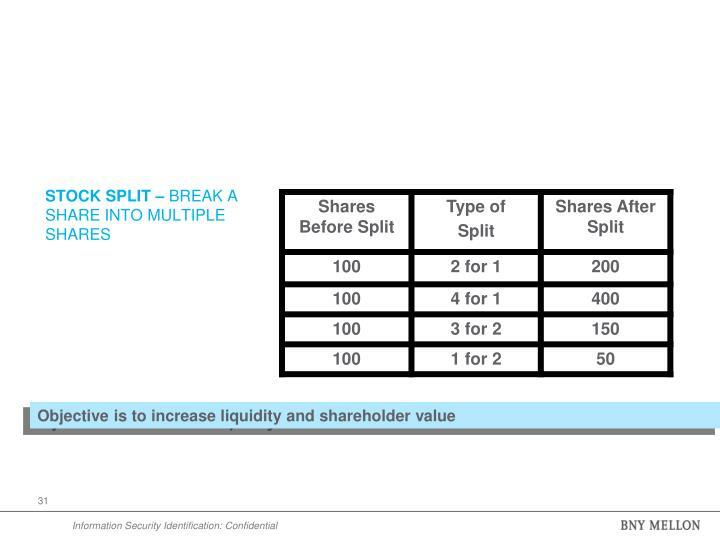 Theoretically, market price of the share in both a bonus issue as well as a Stock Split will decrease in proportion to the number of new shares. 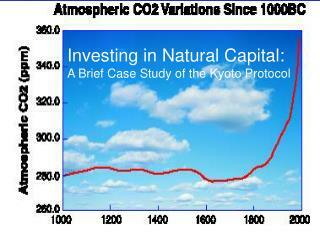 But in reality this does not happen. 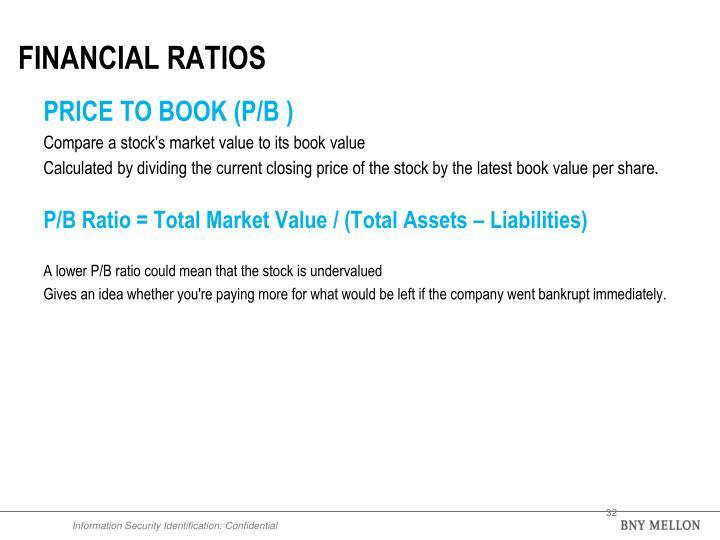 Calculated by dividing the current closing price of the stock by the latest book value per share. 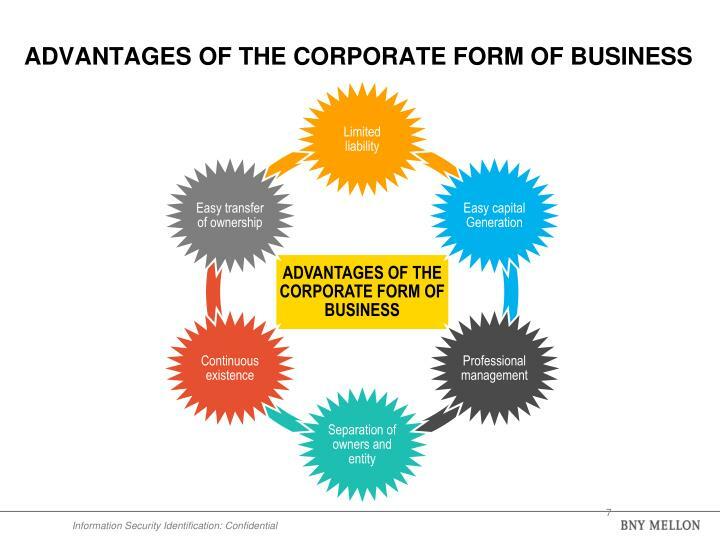 Gives an idea whether you're paying more for what would be left if the company went bankrupt immediately. 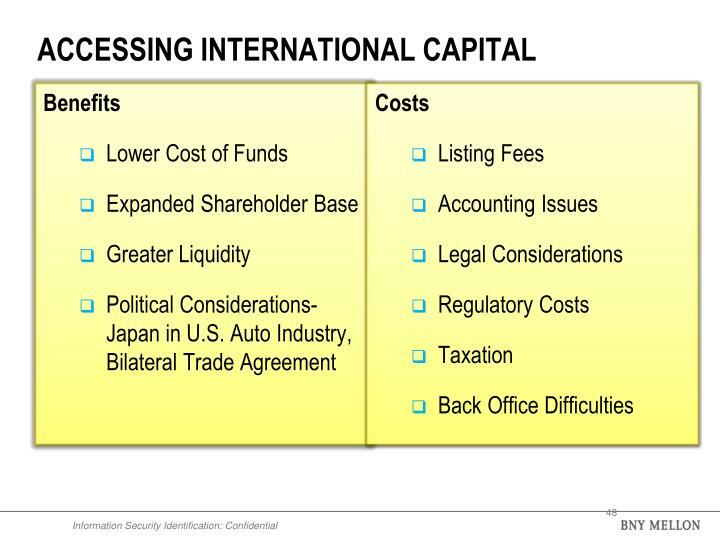 Portion of the Net Income (profit) allocated to each outstanding share annually. 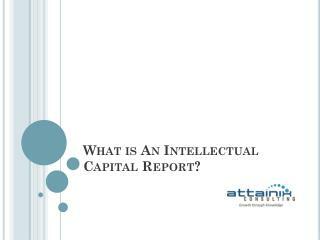 ABC Corp recently showed an annual income of Rs 2,000 against its total assets worth Rs 1,00,000. 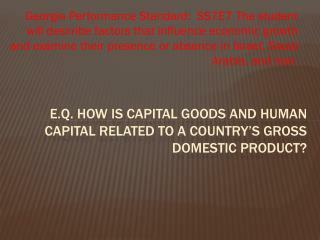 The corporation owes Rs 55,000 to its lenders. 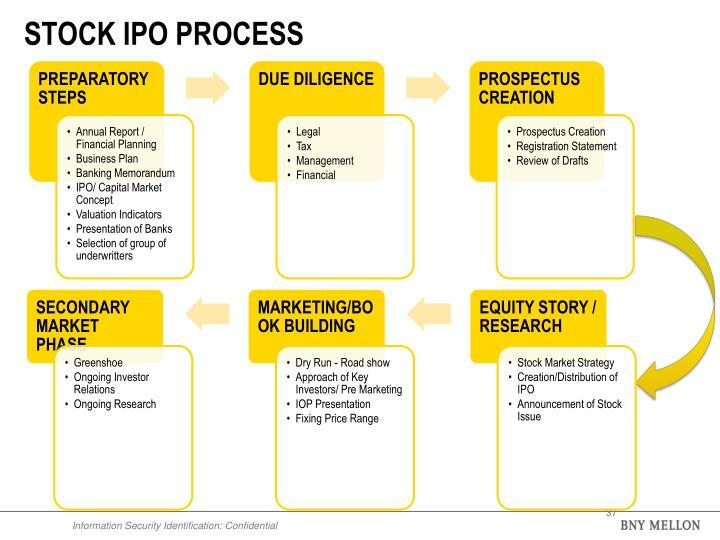 The market capitalization of ABC Corp is Rs 50,000 with 1000 outstanding shares. 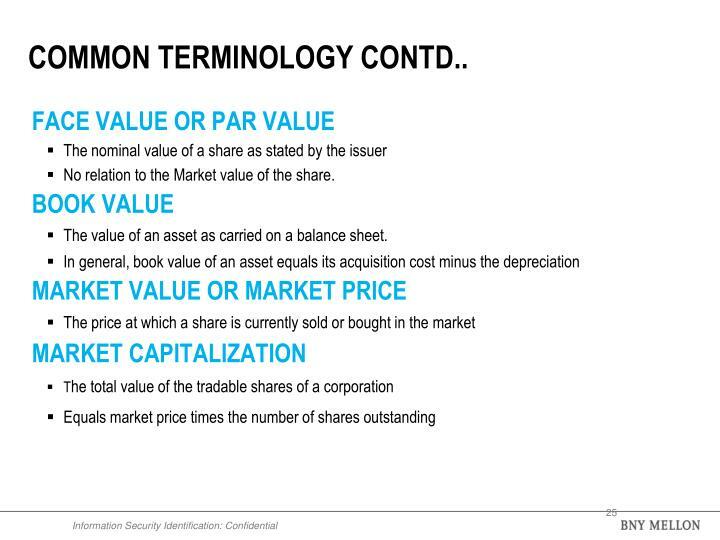 What is the market value and book value of its share? 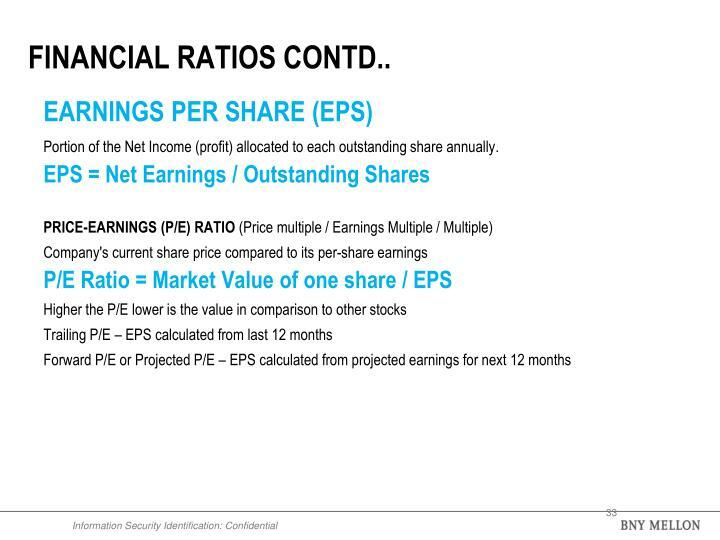 Also calculate P/B, EPS, P/E, RoE and RoA. 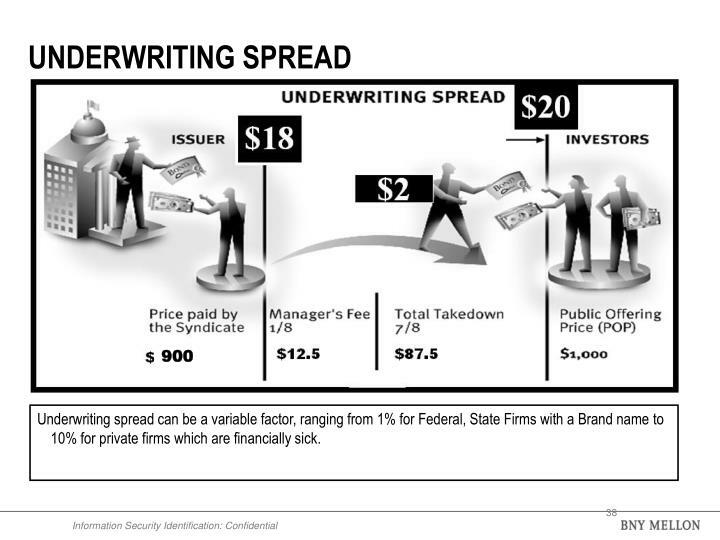 Underwriting spread can be a variable factor, ranging from 1% for Federal, State Firms with a Brand name to 10% for private firms which are financially sick. 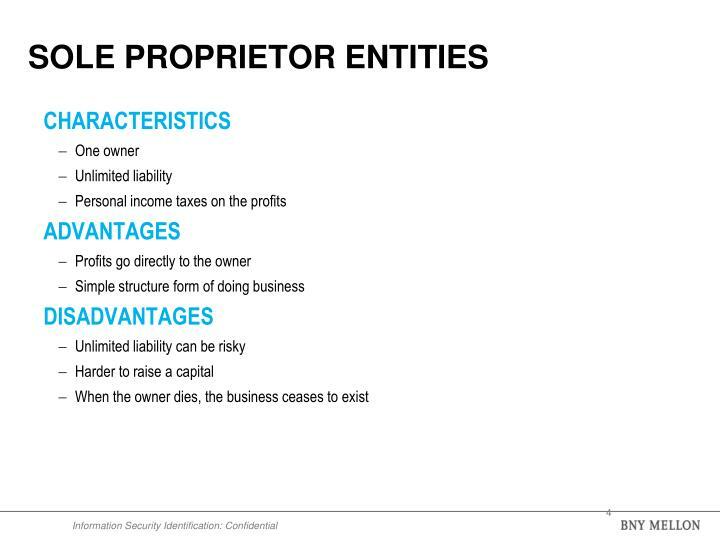 More they are, less is the risk. 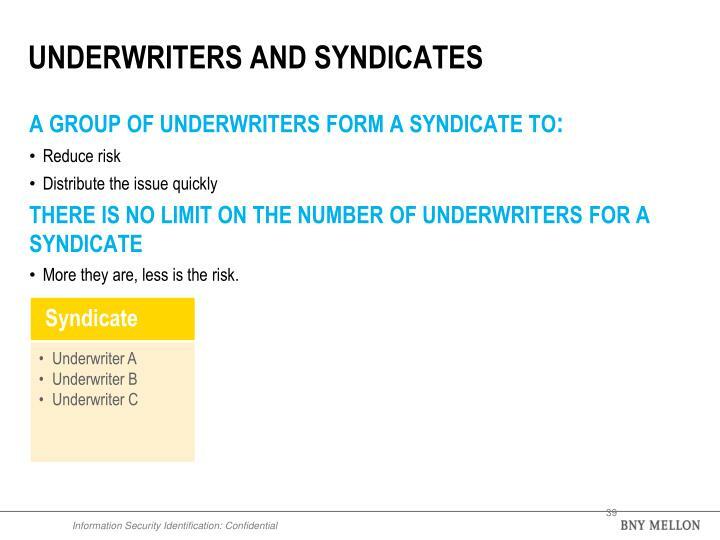 If equity sold are less than 90%, Underwriter/Syndicate has the option to cancel the Issue. 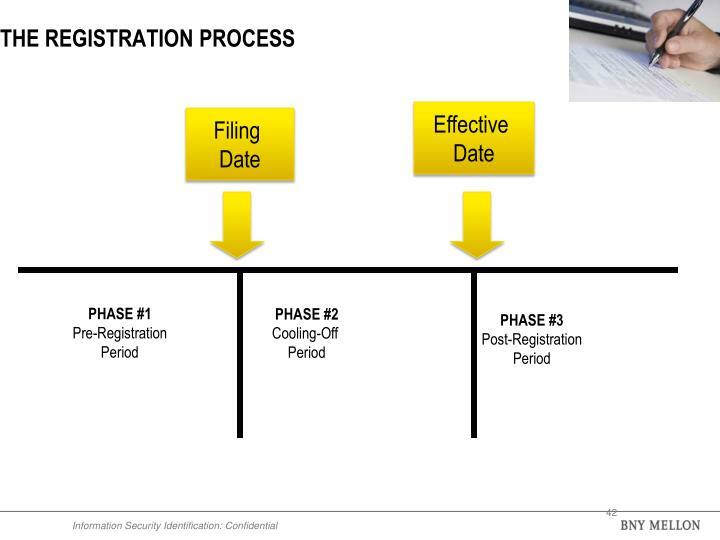 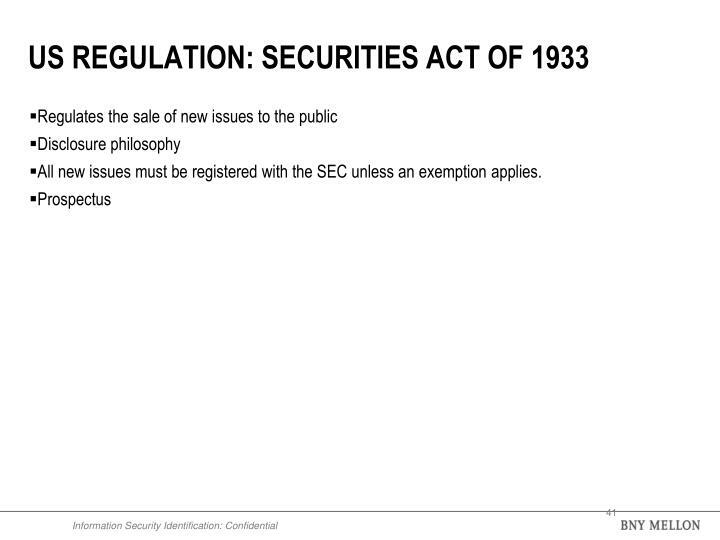 All new issues must be registered with the SEC unless an exemption applies. 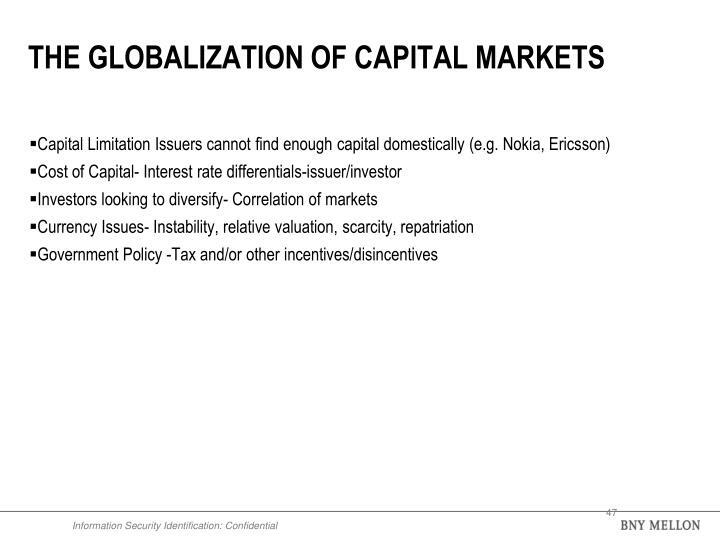 Less potential for capital gain. 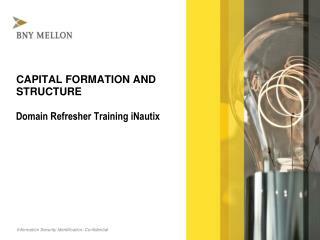 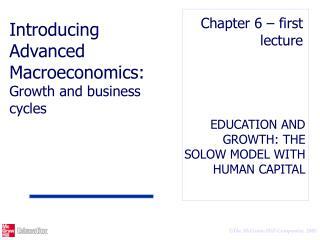 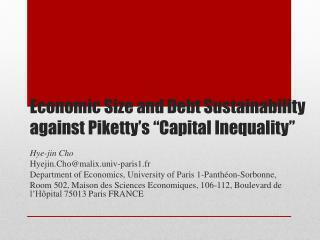 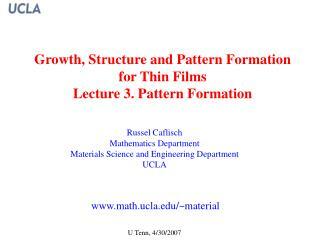 EDUCATION AND GROWTH: THE SOLOW MODEL WITH HUMAN CAPITAL -Chapter 6 – first lecture. 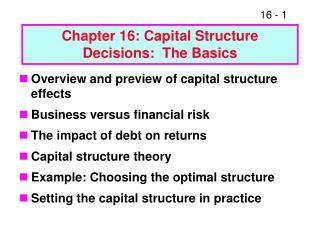 introducing advanced macroeconomics: growth and business cycles. 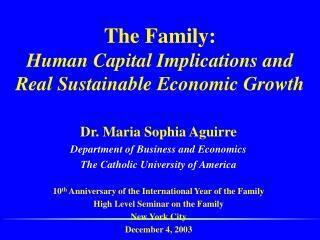 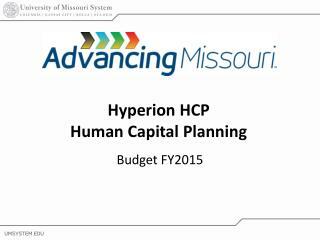 education and growth: the solow model with human capital.